A Second Republic lawmaker, Dr Junaid Mohammed, has criticised President Muhammadu Buhari's tribute to the late President Shehu Shagari, who passed away on Friday at the age of 93. Buhari, in a statement by his Special Adviser to the President (Media and Publicity), Femi Adesina, had described Shagari's death as the departure of a patriot, whose life of service and humility was widely acknowledged. But Mohammed in an interview with our correspondent stated that Shagari had gained respect by retiring and living a quiet lifestyle, unlike some in the current political class. When asked his thoughts on Buhari's tribute, he said, “It's not sincere. If you've contributed so much in bringing down a government and bringing down a man who had nothing to gain, even though he had poor eyesight and was in poor health – he was in his late 60s then – you cannot say, from 1984 till now, you got along well. How did you get along well? “No matter what you say about the Shagari administration, he knew how to retire from public service quietly, with a tremendous amount of nobility and self-respect. You have to give him that. 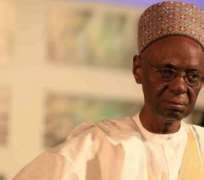 According to Mohammed, he was devastated by the news of Shagari's demise. He added that Shagari believed in the goodness of human nature, even when human nature was not always good. “The first Shagari administration of 1979 wasn't particularly spectacular. There are quite a number of people there who really disappointed us, both National Party of Nigeria and Shagari, the president. He endured a lot but he didn't want to rock the boat, so he waited until after the election in 1983 when some the characters were simply asked to leave or reappointed. “But even then there were others who were reappointed and I have a feeling that was because of pressure from within the party by some people who were seen to be above the law. Some of us would have been happy to see many of those who did not serve the country well outright sacked even before the end of the four-year term.